This past few weeks, there are lots of interesting events in Jakarta. I feel that I need to share next upcoming events, so maybe you all can go and see it. Two weeks ago I went to see “Glimpse: Music for Drums and Mixed Ensemble” by Aksan Sjuman. This performance was the opening for “Festival Salihara”. 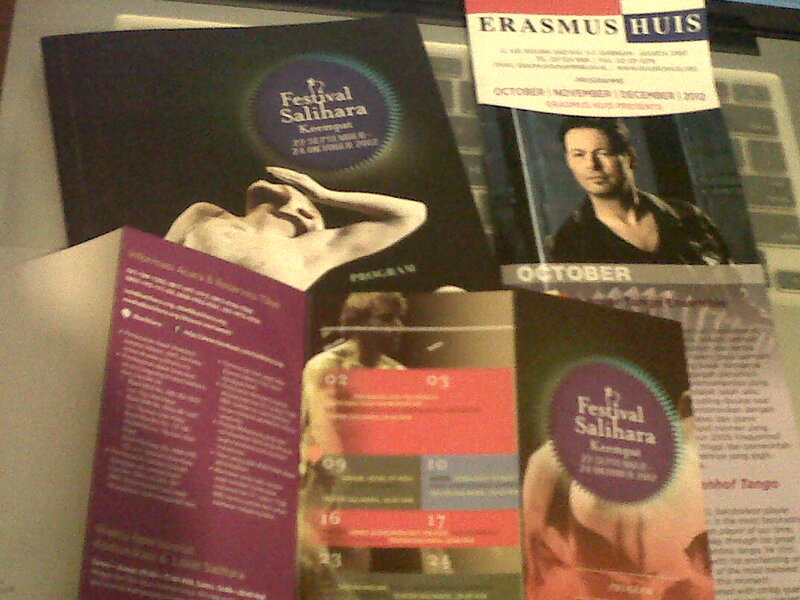 The festival itself will be held from September 23rd until October 24th 2012. Last week, I saw “Sandee/Van Nieukerken Pianoduo”. They performed modern 20th century music. I really wanted to see them playing “The Rite of Spring” by Igor Stravinsky. Unfortunately, that repertoire is only available on their 2nd day performance program, I could only come on the first day 😦 . But still, the show was great! Last night I went to Erasmus Huis to see “Kraayenhof Tango Ensemble”. It was reaaalllyyy great! Before I saw the show, I had very little idea of how a tango music would sound. It turns out the music was really rich, in harmony and rythmically. Ok those were the past events. The next one that I’m going to see is film concerts performed by the Batavia Madrigal Singers and Capella Amadeus accompanying silent movie “Nosferatu” (1922) by Friedrich W. Murnau. This performance is presented by Goethe Institut Jakarta and the German Embassy in continuation of JERIN (Germany and Indonesia: Creativity in Diversity). It will be performed on October 6th, at Teater Besar Jakarta, TIM. I might also gonna see “Topology, Ten Hands” at Salihara, Oct 20th, and many other concerts and performances! Woohoo..!! This entry was posted in Performance and tagged @america, entertainment, Erasmus Huis, Festivals, goethe institut jakarta, Goethe Institute, madrigal singers, music, Performances, Salihara. Bookmark the permalink.